Sometimes when I am in bookstores I stop by the discount table to see what I might find there that’s a good read. I say sometimes because I don’t always do it. It’s not because I don’t want to take the time to rummage through or because I think I won’t find anything of value there, but more a case of how I feel when I find really good writing laid out there for just a few dollars. I know what it takes to sit alone and write and write and write … sharing bits of reality or imagination hoping that the effort will have some impact on a reader somewhere one day. So when I see good authors on the clearance table that never made a ripple in the book world who have quietly slipped by unnoticed, I get a bit depressed even if temporarily because I can’t help but think, what if that happens to me. Of course, not having published a book yet one might think my momentary angst a bit premature, but I do feel for really good writers whose story appears to go unnoticed. That said I want to be sure you don’t miss out on a piece that really touched my heart a few days ago. Mariellen Romer has written about a life event that had a lasting impact and I hope you’ll take a minute to stop by her place and have a read . You won’t be disappointed. I promise. This entry was posted in Bloggers, Books, One Word - Encourage, Writing and tagged Clearance Books, Elizabeth Harper, Gifts Of The Journey, Mariellen Romer, The Discount Book, The Full Life. Bookmark the permalink. Thank you Elizabeth. You’re certainly keeping your One Word promise too. Thanks also to every one who popped over to my blog to have a read. Hello if you’re new to my blogging venture. To change the subject – my, but that’s a very ENGLISH looking door there.. and I uh, really HEART that door handle! So I went over for a looksee, on your advice. Let’s say that experience here means I can trust ya about a different good read. Then I sent over a bunch of my own posse. Who have been forwarding the link all day long. there in my In-box was a different friend recommending a good read about a dress for a ceremony, saying she thinks it is something I would like alot. Not knowing about the first message at all. They prolly don’t even know each other at all. Yet hearts are touched. And the goal for fine Online writing moves forward just a bit. You are right. I was not disappointed. Mariellen’s story is absolutely beautiful!!! Such a beautiful story – thank you for the recommendation. 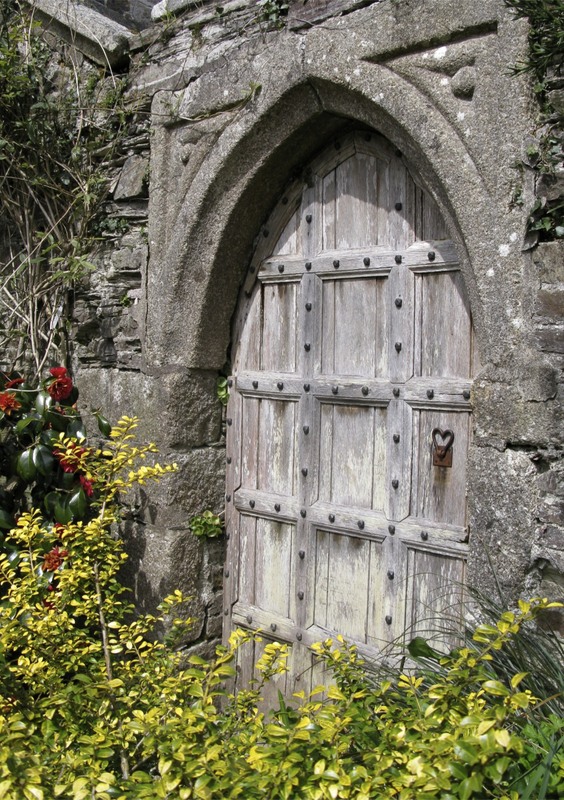 Also loooove your old door photograph too – I wonder where it leads? I used to write for television and wrote so many scripts that never got made for a whole host of somewhat arbitrary reasons that are so common in that business. Even though I got paid to write them, it felt to me exactly the way you’re expressing it here. While I’ve made no money blogging, it has been enormously satisfying to have an audience for what I write — because if a tree falls in the forest and there’s no one around, it really doesn’t make a sound.